Should GM Crops Feature in the 'Evergreen Revolution' India Dearly Needs? Three Indian-origin students have been named among the 25 most influential teens of 2018 by Time magazine for making a mark across numerous fields. 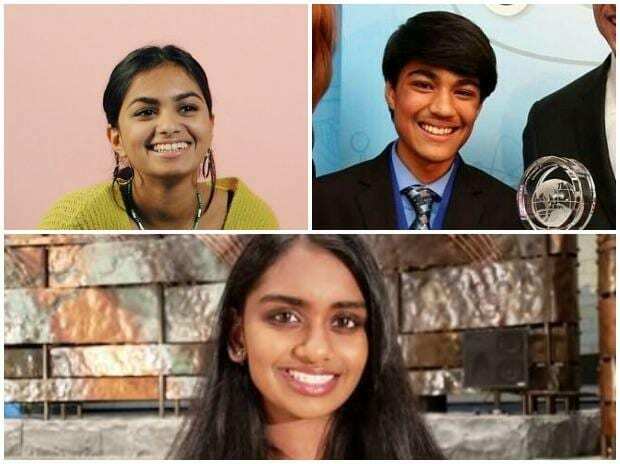 Indian-American Kavya Kopparapu, Rishab Jain, and British-Indian Amika George are among the group who have become inspirations for youngsters across the world due to their spectacular achievements through their work and passion. Rishabh, an eighth grader, who has developed an algorithm that can possibly be a cure to pancreatic cancer. Kavya Kopparapu is a freshman at the Harvard University. She developed a deep-learning computer system that can scan slides of tissue from brain cancer patients looking for differences in density, colour, texture and cellular alignment that are unique to that particular person's case. She developed the system after learning how the survival rate of glioblastoma, an aggressive brain cancer, has not improved from the past 30 years. According to Time magazine, her goal is "to develop targeted therapies that are also unique to the person." Amika George's goal is to convince policymakers to end "period poverty," as she calls it, by funding the distribution of menstrual products to girls and women who cannot afford them. "It really upsets me," she tells the magazine of learning that many girls in the UK were routinely missing school during their periods because they could not afford to buy menstrual products. "The government knew this was happening on their watch, but they were refusing to find a solution," she said.